Midgard is surrounded by a god made flesh, the great World Serpent, a monstrous beast that defines the edge of the world and that contains—and some say, created—the entire world. This serpent, biting its own tail, creating the tides through his breathing and storms through his snorting and sneezes, is well known to the Northlanders and the Mharoti and less well known in other places. Hugely powerful, he is an indolent, even lazy, god who rarely speaks to his worshippers. Prophecies say that someday he shall consume the earth entirely. He is a creature of the end of all things, and his worshippers are few. Called Veles in the East and South, Jormungandr in the North, Dyjj in the Southlands, and Ouroboros in the Crossroads and the West, the Great Serpent is the embodiment of worldly things, strength and rage, wisdom and water, earth and blood and death. The Serpent is entirely unconcerned with an afterlife, but instead focused on the natural world and its various scaly and non‑scaly children. Some claim he is one of Loki’s children, but this is likely another one of Loki’s tall tales. Sailors who claim to have seen the flanks of Ouroboros describe the god as a wall of mossy, scaly flesh encircling the oceans. Beyond his bulk lies the Void filled with stars and darkness. 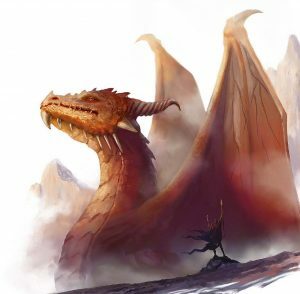 Giants and dragons are the primary followers of the World Serpent, though some dwarves, humans, and kobolds also acknowledge him. Ouroboros is a reminder of the short lives and paltry significance of most mortal lives. As a result, few care to worship the Great Serpent. Most of his followers are dour stoics or frenzied believers who live life to the fullest, since the afterlife is uncertain at best. Certain druid cults follow the Serpent of Wisdom, and cults devoted to the Void and outer darkness claim a dark and apocalyptic version of the Great Serpent as their patron. Some believe that Veles taught the Northern and Southern tongues to the giants and the dragons, respectively. If any original books of his teachings survive, they are rare and known only to a few. Whispers claim that one such volume exists, called the Forked-Tongue Prophecies or sometimes the Circled Tongue. It is said to grant power over serpents, drakes, and dragons, and to foretell the end of all things. Ouroboros’s symbol is a snake biting its own tail. Veles has few great shrines and famous priests, though many caves serve as his holy sites, especially those containing streams or springs. Some dragons and giants claim the title of high priest, but Ouroboros seems not to care. The Portal of the Void in Harkesh claims the honor of the god’s most prominent shrine. Its high priest, Yavuz al‑Prezhan, is one of the few who performs rites specifically to honor Veles. 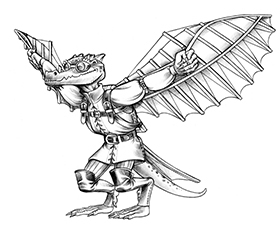 Dragons seem keen on these rites, which involve kobold and dragonkin sacrifices. A less prominent but nevertheless important shrine to Veles stands in the Grand Duchy of Dornig, at Bad Solitz in the private sanctuary of the vann Rottsten family at the Tourmaline Palace. Cleric Hudricus Orovan is called the Keeper of the Keys, after the Keys of Veles that are said to open all roads and portals. Priests of Ouroboros claim all other gods are his masks. More plausibly, the eastern dragon gods might all be faces or avatars of Ouroboros. A few Northlanders believe that Veles is nothing more than a mask of Loki, and part of a tremendous plot with the giants.